I love summer in the city as much as the next gal, but there’s something about it that for New Yorkers can be, well, a tad anxiety inducing. It’s more than the obsession with getting the most we possibly can out of the warmer months, it’s also that fact that New York in the summer is almost too awesome. There’s so much to do, and so little time in which to pack it all in. Every non-humid 80° F day feels like a gift from the heavens, one that must be enjoyed to the fullest, lest we conclude that the day –and if the day, then the week, the month, and obviously the season–has gone to waste. 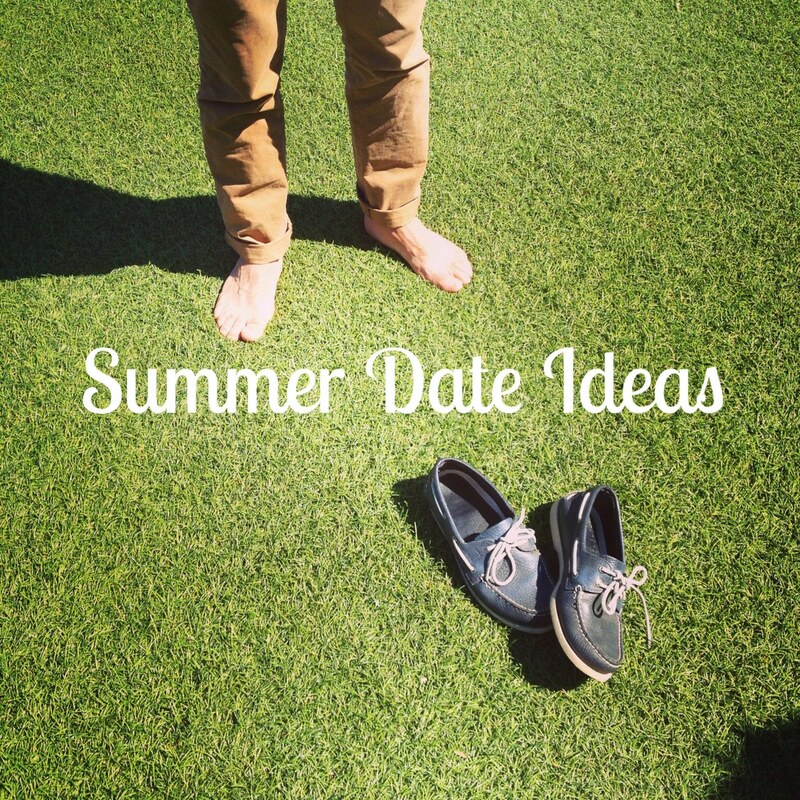 In order to help, I’ve started a new series focusing on summer dates, whether romantic or plutonic, that take full advantage of the city’s neighborhoods in a low-key way. Prospect Heights is a Brownstone Brooklyn neighborhood northeast of Prospect Park and the Brooklyn Botanic Garden. 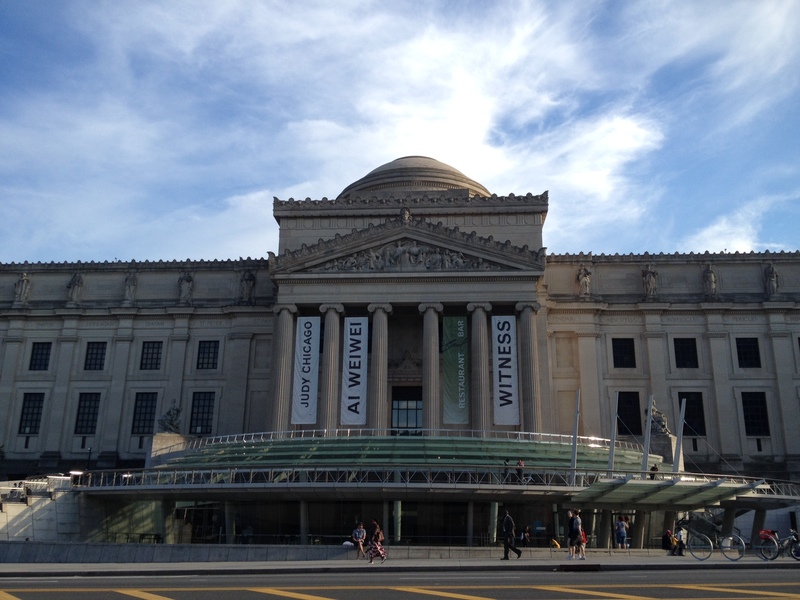 Take advantage of both the park and gardens, if you’d like, or, escape the heat at the Brooklyn Museum, a large, stately museum with one of my favorite permanent collections. Currently on view is an exhibition featuring more than 40 works by subversive modern Chinese artist Ai Weiwei. 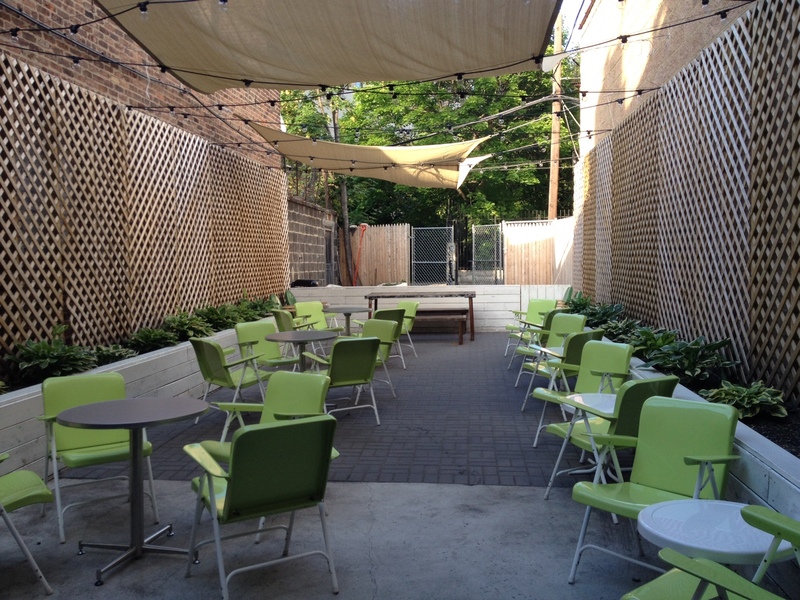 Head to the museum for First Saturdays (the next one is July 5) to enjoy reduced admission to the Ai Weiwei exhibit as well as music and entertainment from 5 p.m. to 11 p.m.
After museum-ing, take a 2-minute walk up Washington Avenue to craft cocktail bar Tooker Alley. Enjoy inventive cocktails (in the $11-$12 range) and a short menu of small bites in their low-lit bar or in the spacious backyard (open until 10 p.m.). Free jazz on Monday evenings if that’s your thing. Check on the wait time at Bar Corvo (below) so you can imbibe a few drinks al fresco until they call to tell you your table’s ready. Bar Corvo, a neighborhood-y Italian restaurant, is a more casual offshoot of the insanely popular Park Slope spot Al Di La. The food here is hearty and delicious. I’m especially a fan of the anchovy-and-breadcrumb cauliflower and their pasta dishes (tagliatelle, squid ink, semolina gnocchi). 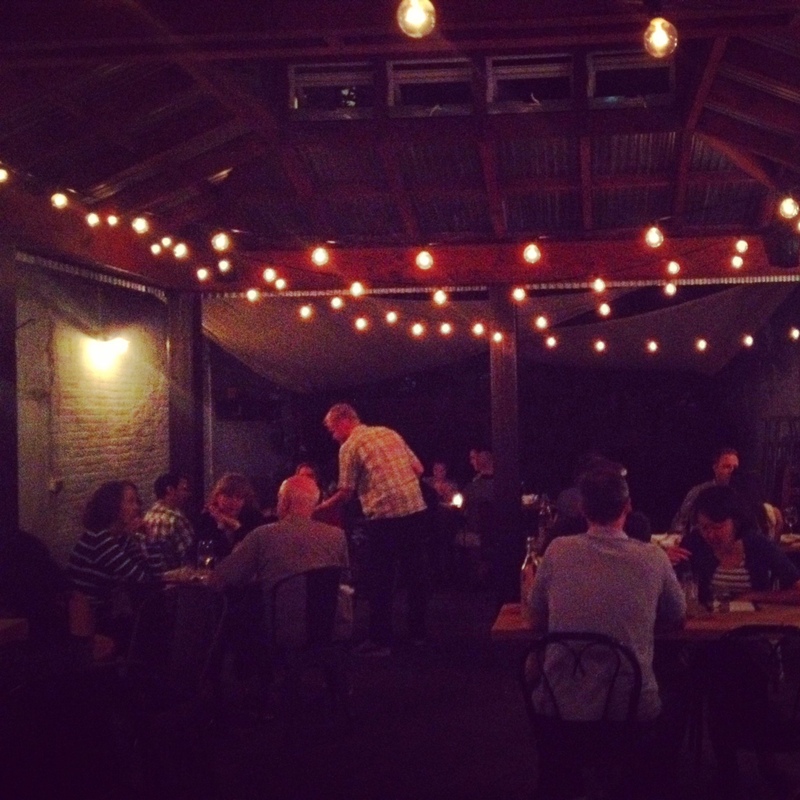 The string light-illuminated backyard is a romantic spot in which to wile away a summer night over a glass of red. 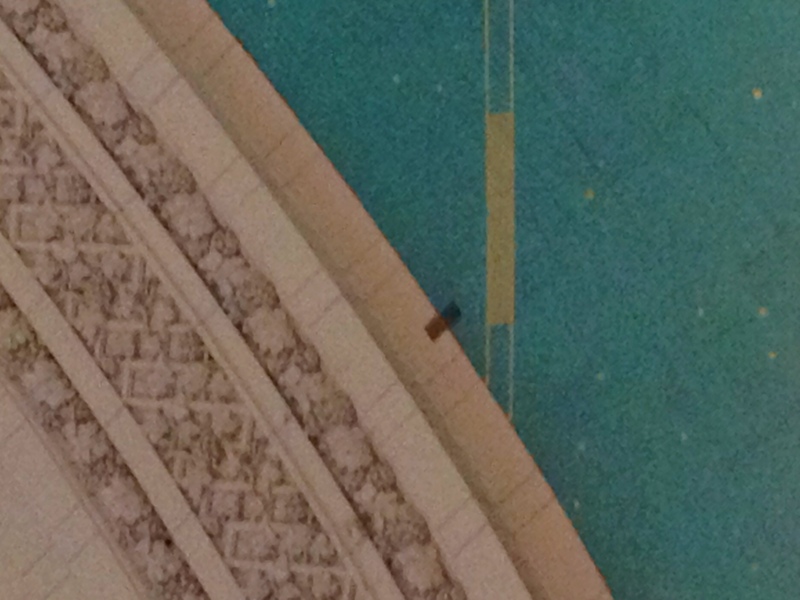 There is something magical about Grand Central Terminal. Perhaps it’s the large windows or the vaulted ceiling or the people scurrying around the central axis of the clock perched in the middle of all the chaos. For me, it’s the aqua-and-gold-colored depiction of the night sky’s constellations. The colors are pure and vibrant, and they lend the space a kind of incandescence. It wasn’t always this way. Before the interior’s restoration–completed in 1998–the ceiling and surfaces were grimy, stained with decades of tobacco smoke and dirt. The restorers left a reminder of the ceiling’s previous condition–a patch of grime left untreated in the northwest corner of the open-air terminal, right neat the Cancer constellation. It’s a vow to never again let the building deteriorate to such a state.